Bill, a local fishing identity, remembers back in the mid 1940s on a local school visit seeing a shipwreck on Long Reef’s north side. We researched shipwrecks on the Maritime database and found it was the ALTAIR, a ketch which remained there for some years. Other information found was the paddle steamer “Collaroy” (right), to avoid raining on to the reef in 1881, veered away and grounded on a nearby beach now called Collaroy Beach. In recent years only private yachts and pleasure craft have run aground. Anchor chains and a rudder can still be found at low tide – see photos below. 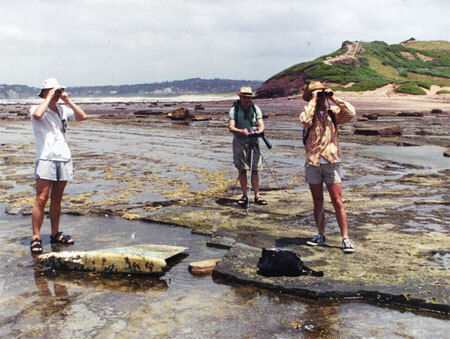 The practice of scuttling old ships and barges off the reef helped in creating artificial reefs – fish habitats. 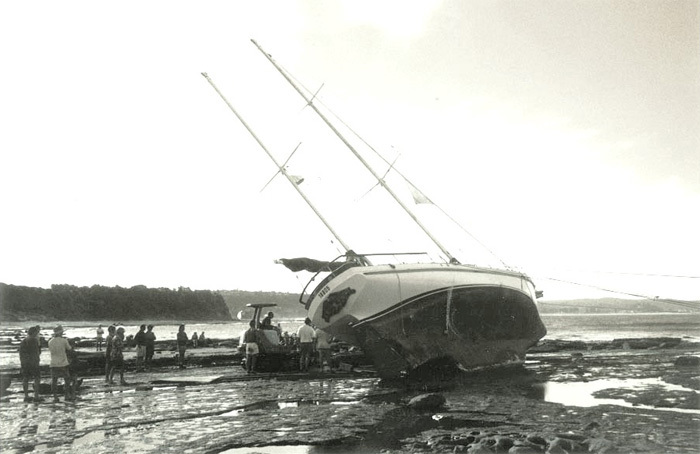 1983 VERDIER, barge scuttled off L.R. as artificial reef. 1980 BELLUBERA, Sydney/Manly Ferry scuttled. 1976 PYRMONT II, barge scuttled. 1976 DEE WHY, Manly ferry scuttled off Narrabeen. 1976 MEGGOL, oil barge scuttled off Narrabeen. 1948 HORN, Launch off LR. 1942 ALTAIR, Ketch north side. 1920 CHRISTINA GOLLAN, Steamer four miles off L.R. 1919 SS MYOLA, Steamer founded. 1913 SS EUROKA, paddle steamer founded. 1894 GREYHOUND, steamer of LR. 1889 DUCKENFIELD, steamer L.R. north side. 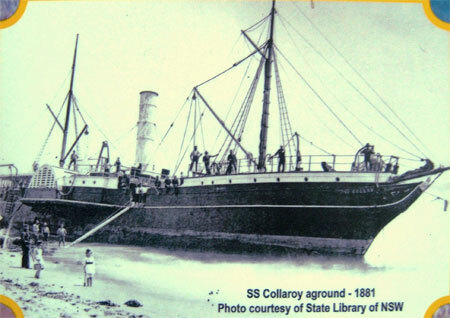 1881 COLLAROY, Paddle Steamer hit reef and grounded Collaroy. 1877 SYLPHIDE, barque sunk off L.R. 1875 SUSANNAH CUTHBERT, schooner founded. 1868 MIMMIE, cutter L.R. south side. 1868 MOUNTAIN MAID, Brigantine off LR. 1860 SWIFT, Ketch off LR.